AT&T and NCAA Football have announced the new NCAA Football Fan Zone App Powered by AT&T is available on the App Store. The free app for iPhone and iPod touch combines social functionality with real-time NCAA football news so fans of Division I teams can chat with each other, chat with fans of opposing teams, and stay informed on the latest team and player news throughout the season. The NCAA Football Fan Zone App Powered by AT&T gives college football fans an "always open" venue to do what they do best – talk about college football. To get started, users simply download the app and choose a team or teams they want to track. 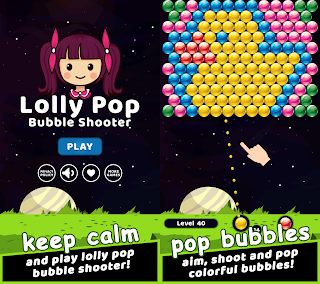 Users can chat with all other group members – making predictions, cheering and ranting during the game, uploading photos or partaking in a round of post-game analysis. To add a little fun to the conversation, groups for opposing teams are merged before, during and after each game allowing all posts made during that time to be visible to both teams. To ensure smack talking remains family-friendly, groups are systematically monitored and users can report abuse at any time. Other app features include a live scoreboard, team schedules, discussion groups for weekly rankings and breaking news. 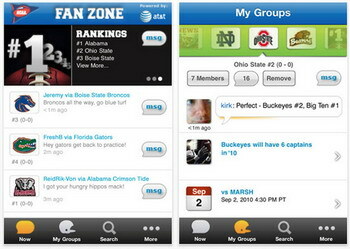 The NCAA Football Fan Zone App Powered by AT&T is available for free from the App Store on iPhone and iPod touch. 0 comments on "AT&T and NCAA release NCAA Football Fan Zone iPhone App"